Who Cares What the Buddha Thought? It’s a good question. 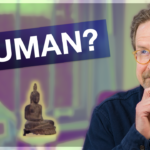 We’ll consider some of the reasons why someone with a secular outlook should care what the Buddha thought, as well as other aspects of this question. Check out my new Patreon page! Critical thinking, skepticism, and experimentation are not only important in science, but our everyday lives. This is also true in Buddhism, and especially secular Buddhism. In fact, the Buddha was well known for saying, and I’m paraphrasing here: Don’t just believe what I say. Look for yourself. When we first began practice with meditation, and mindfulness in our daily lives, many of the teachings prove themselves to be true. It becomes starkly apparent, for instance, that we cling to pleasure and we have aversion to pain. Our reactions to such clinging often cause a great deal of internal suffering. Mindfulness goes on to reveal much more than just clinging, but also how we create and recreate a feeling of self. Refuge in the Buddha: Man or Myth? The meaning and context of the word refuge in and of itself is worth some thought and consideration, especially to those of us who practice secular Buddhism. In most traditions, refuge is considered faith, faith that what one is being taught is true or valid. But those of us who come from and have rejected religious pasts, faith may cause one to balk. At the least, it should prompt you to question and explore just why and how one takes refuge.